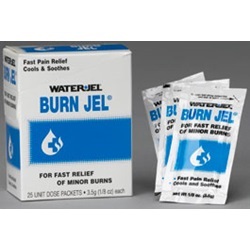 Burn Jel with 2% lidocaine in a convenient, 25 pack dispenser with 1/8 oz. (3.5 gram) unit doses packets. 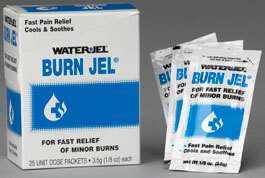 The Product cools & soothes minor burn injuries. The lidocaine ingredient relieves pain fast.